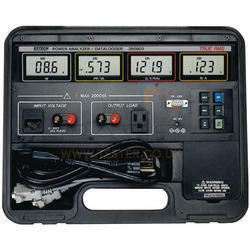 We are leading Suppliers and Distributors of Power Analyser. 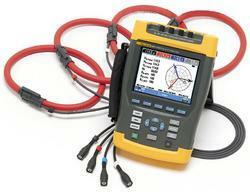 capturing, displaying, analyzing and characterizing RF power in both the time and statistical domains." - True RMS AC Voltage Single voltage up to 480 Volts; phase-phase voltage up to 600 V.
- True RMS AC Current up to 6500 Amps (according to CTs used). M30 is designed for measuring all electrical parameters, including harmonics, of an electric network with MODBUS-RTU / Elcom protocol on RS485 communication port. AP22 Speedy is a 2 micro-plate fully automated analyzer able to operate the dispensing, incubation, reading, data processing and storage of the results. Its user friendly approach for both software and hardware allows the operator to start working immediately with the instrument as soon as it is out of the box, no pre-adjustments or calibrations required.